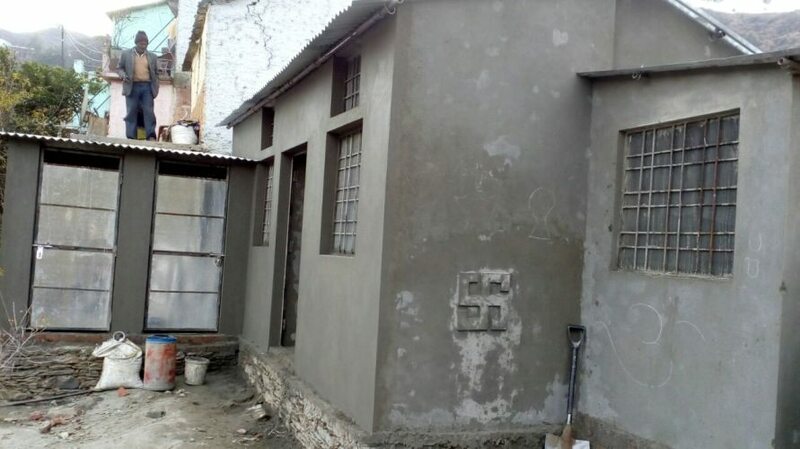 By Dilbar Singh Parihar, President of the Shin Shiva Charitable Trust, who took over the project management. Project idea: Children should be supported with their housing, food and clothing by the adults around them until the age they can survive by themselves. It all started with a little class room conversation among Deepak (class teacher of the 3rd Standard class) and his students. While discussing their daily schedule Deepak came across a shocking update from Pankaj. First Pankaj didn’t speak a word but later he explained why he couldn’t study last evening. Pankaj said: “It was raining the whole day and I slept at my grandfather’s little house along with my three other siblings.” Then Deepak asked: “Why? What happened to your house?”. He replied very softly: “Rain water seeped inside our house and water was everywhere … no place to sleep, but my mother still managed to sleep inside and I was thinking about her the whole night”. 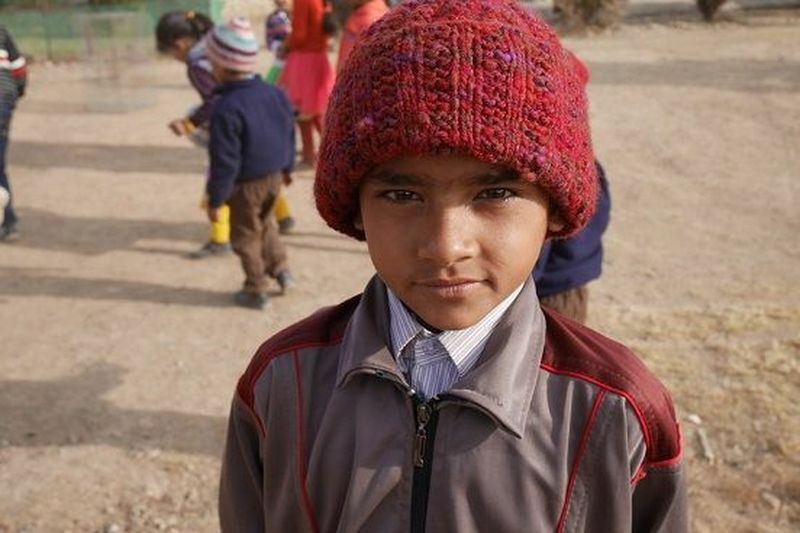 Pankaj’s father left his family a few years ago and never came back. Our first visit to the village Panwai from where 18 out of our 55 students are coming. We experienced many castes and sections based on income which is developed by our prevailing systems. 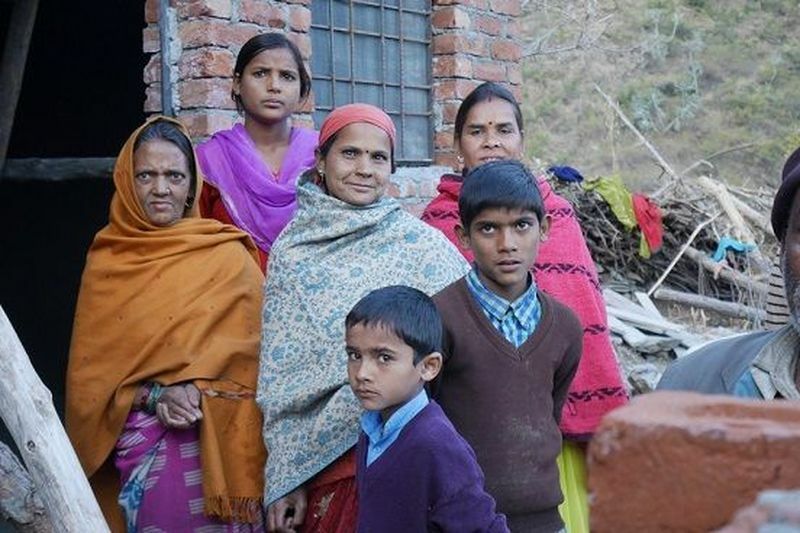 Pappi Devi (Pankaj’s mother) with her four children was living inside her tiny little accommodation with a broken wall, which was all set to fall down anytime. She is a daily wager and earns only after working the whole day, and at times there is no work for her at all. Misaki is a pediatrician from Japan who has started observing our students’ growth and development since July 2016. She found a sever growth disorder in Pankaj. In last November, we explaind her that Pankaj didn’t have a house. Then she proposed the idea of this project and said it’s our priority and urgent. We got a consensas about it. She would like us to use her donation for Pankaj’s house. 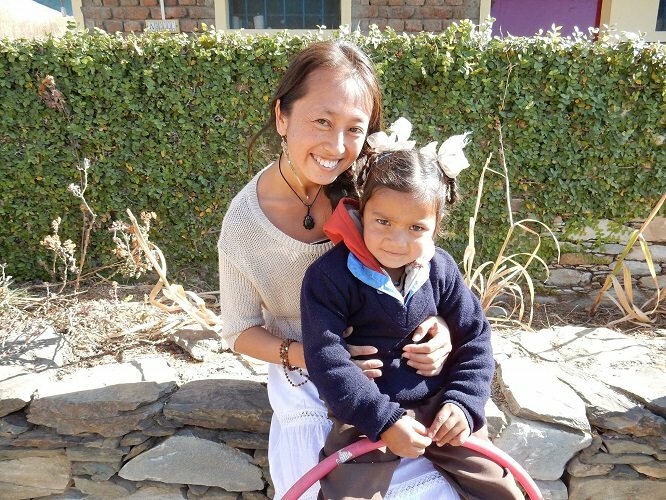 During Mao’s Bhakti yoga retreat last November at Anand Lok (Mao is a renowned yoga teacher from Japan) she planned to visit school project and donate for school. Misaki informed Pankaj’s living situaton to Mao and shared the fact that he was showing a severe growth disorder in addition to problems in studying, part of which might be due to his living environment. At the end of their visit, Mao decided that she would like us to use her donate to build Pankaj’s house as well. It was all wish of god and things were unfolding itself. We felt motivated and our whole team including our teachers, supervisor and nearby village people gave their support. 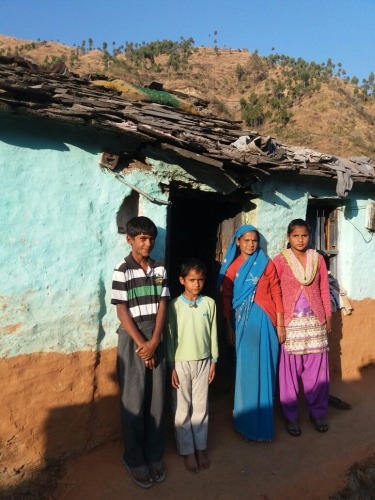 In the next days we went again to Pankaj’s village, spoke with his grandfather and asked him to donate only a piece of available land to build a new house, we called Pappi Devi to school and explained to her what we were going to do. 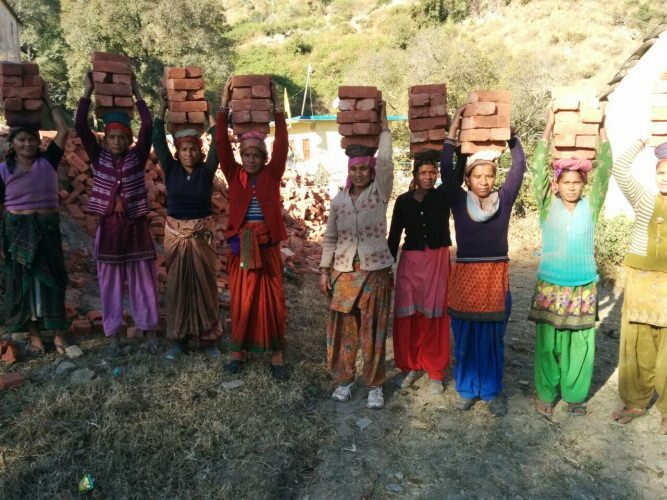 It was difficult to work in a village and build a new house. It is not as easy as in big cities. We required heavy stones to prepare the base, we required more than 7000 bricks from the city, around 50 bags of cement, sand, dust, iron sheets, pipes and much more. There was no running water around for construction, the nearest road was 300 metres downhill. And all this with temperature around 2-5 degrees. Communication and timely delivery is still lacking in our work culture here in this part of India, but we have to deal with that in every developing economy. As it was God’s wish we literally can’t do much to change it. 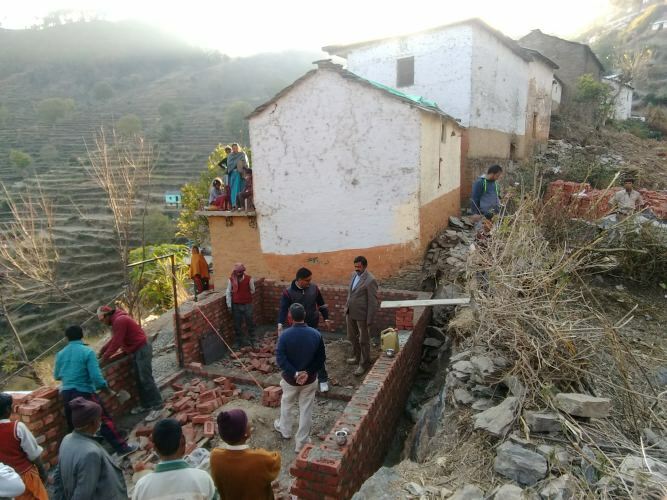 Negi ji (an old friend and contractor from Dehradun) and Gopal (Supervisor) offered their selfless services for this selfless work. We got skilled labours from Negi ji’s team, raw material in cheaper rates from his contacts and continuous supervision by Gopal. Our aim was to build one family room and one dedicated room for Pankaj and his siblings to study, plus kitchen, toilets and bathroom. Working with Indian style, dealing with village people and communicating to Japanese friends was a most difficult part of this project. In Japan, everything is planned well in advance and almost everything is timely including budgeting, but here, in the interior of Himalaya, things are different. I am still waiting for some of the bills to complete our cost sheet. As it was also our team’s first project we had some limitations. My team consists of teachers not managers J but at the end they were good managers J. Now we are left with painting and electrical fitting work which will be completed in two-three weeks time.